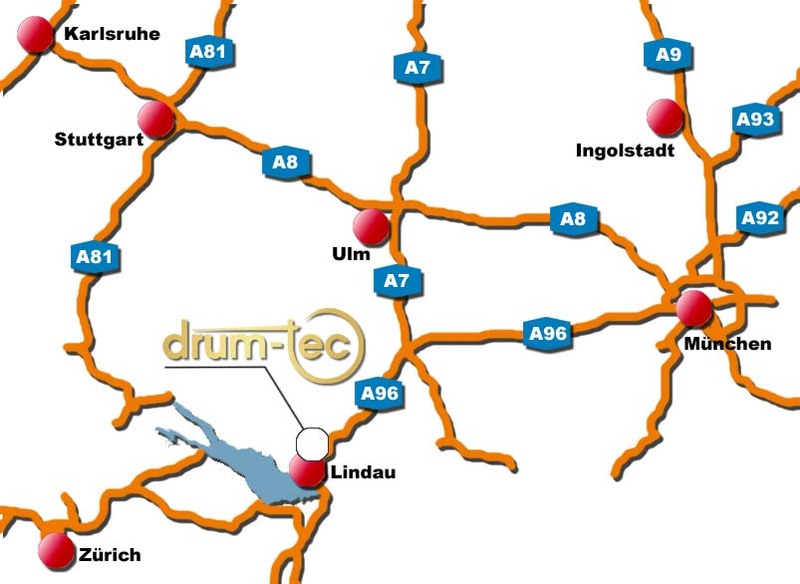 Here's how you will find drum-tec South! Exit Siegmarszell. Then take the main road B31 towards Lindau. After 2km take the first exit of the roundabout towards Kempten (main road B12). After 1km turn right - direction Oberreitnau. At the end of the exit turn left towards Oberreitnau. After 200m you will drive under a bridge which leads to our store. Immediately after passing the bridge, turn right twice to get onto the bridge and drive ahead to our parking lot. The bridge ends directly at our entrance. Exit Weißensberg. At the end of the exit turn right and at the following traffic light turn to the left towards Lindau (main road B12). Pass through the village Weißensberg (Rothkreuz) and continue driving for about 1km. 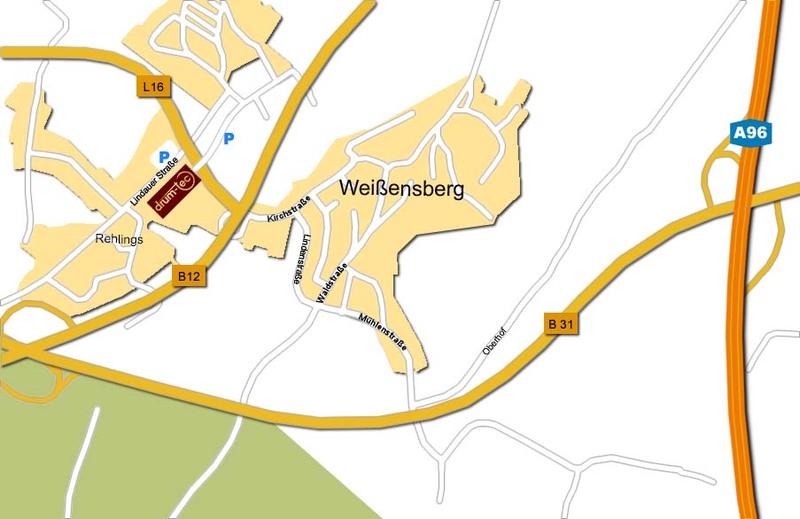 Then turn right towards Oberreitnau and at the end of the exit turn left - direction Oberreitnau. After 200m you will drive under a bridge which leads to our store. Immediately after passing the bridge, turn right twice to get onto the bridge and drive ahead to our parking lot. The bridge ends directly at our entrance.